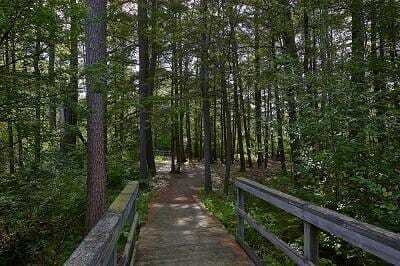 Don't miss this wonderful 3.5 mile nature trail surrounding a 235-acre preserve.  Accessed from the Carl T. Johnson Hunting and Fishing Center, the Mitchell State Park Heritage Trail offers nature trails following wood chip paths with bridges and boardwalks featuring abundant wildlife and interpretive signage along the way. Group tours and guided hikes are available along the 2.6-mile loop of woodland and Heritage Marsh. The nature trail is a study area that provides an ideal environment for a variety of plants and wildlife to thrive. The area is home to a wide variety of songbirds, birds of prey such as barred owls, red-tailed hawks, the occasional bald eagle, as well as deer, beavers, and muskrats. If you prefer to explore on your own, the trail is well marked and provides interpretive panels with facts about the plants, animals and other natural features of the trail. A fishing pier and a barrier-free observation platform also offer visual and physical access to this beautiful 70-acre marsh. This trail is also well maintained and groomed in the winter for classical cross country skiing and snowshoeing.